January 18, 2017 – The Super Bowl picture becomes clearer. 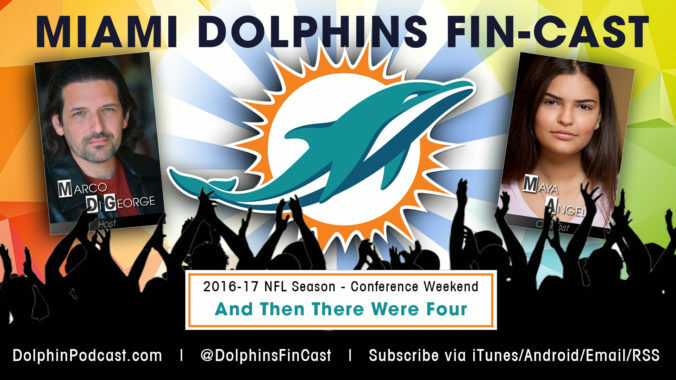 In this episode, we take a look at the latest Dolphins news, as well as Around the NFL. We recap the playoff games from the Divisional Weekend, and review the upcoming Conference Championship games with our Picks of the Week. GO STEELERS!